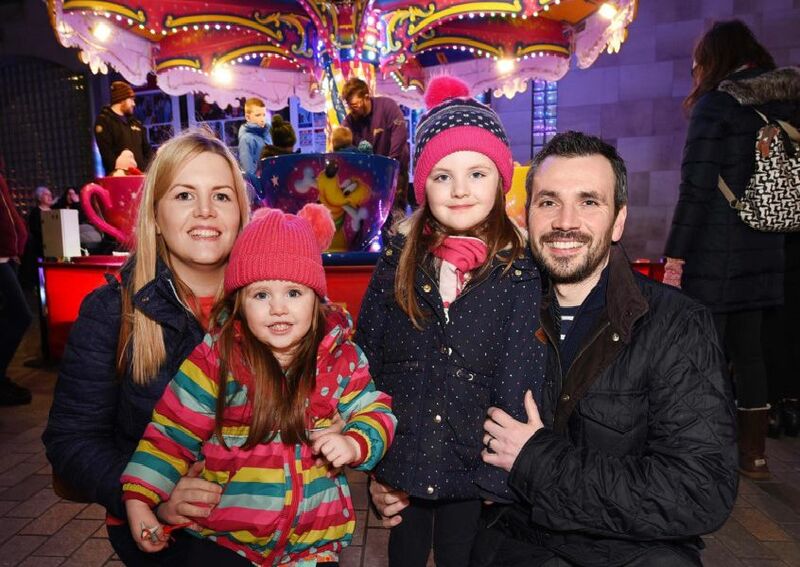 Lisburn lit up during the festive season for when a million lights sparked in the city centre. The Lisburn Lights Festival came to an end recently and everyone had a fantastic night celebrating the success of the event. The Mayor, Councillor Uel Mackin and Alderman William Leathem having fun at the Lisburn City Centre Light Festival. The Mayor Councillor Uel Mackin, Alderman William Leathem, Mrs Kathleen Leathem and some young visitors to the Lisburn City Centre Light Festival. Lisburn City Centre Light Festival. Evie and Freddie Graham meet Wonder Woman and Superrman at the Lisburn City Centre Light Festival.